Conveniently located in downtown Cannon Beach. 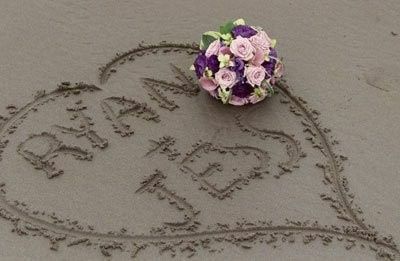 From barefoot beach weddings to elegant events, let us make the arrangements for your perfect arrangement... YOU... the BEACH... a WEDDING! 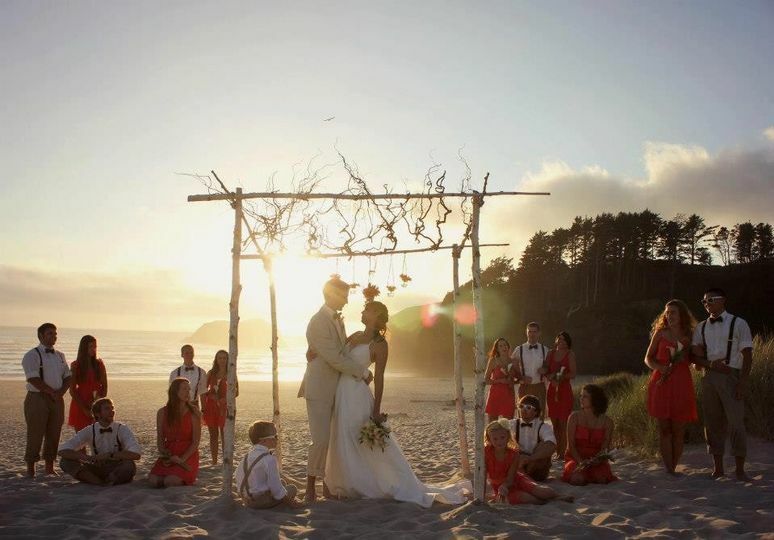 Take time to visit our downtown Cannon Beach shop to see our fun and unique line of wedding accessories and beach gifts. Debbie is the best florist ever!!! 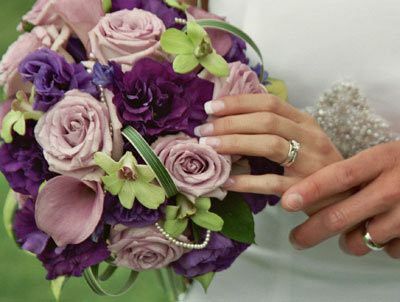 Debbie was such a knowledgeable and experienced florist!!! 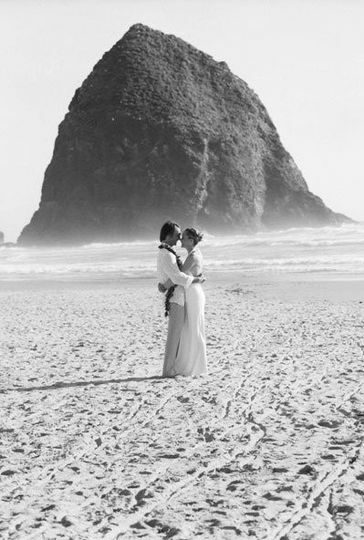 We did a destination wedding in Cannon Beach and it was sooo helpful having a local florist that has been in the area for a long time and knows everybody it seems. 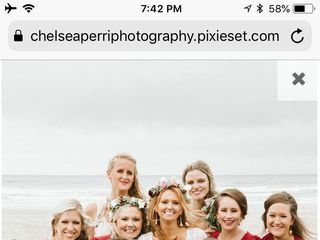 I trusted every recommendation she made and she put together the most BEAUTIFUL arrangements for our wedding!!! I highly recommend Debbie!!! Had a very pleasant experience ordering flowers from this Debbie. It was the one thing I was very hesitant to deal with because I was nervous I was going to be pushed into spending more than my budget allowed. I phoned in a few questions, got some instant quotes over the phone. 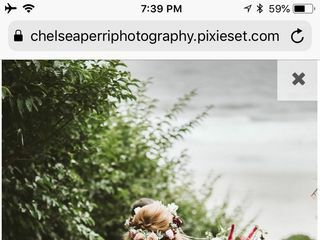 I was able to email some photos and nail out the specific sizes to fit my budget and all the colors via email - so easy and thorough. 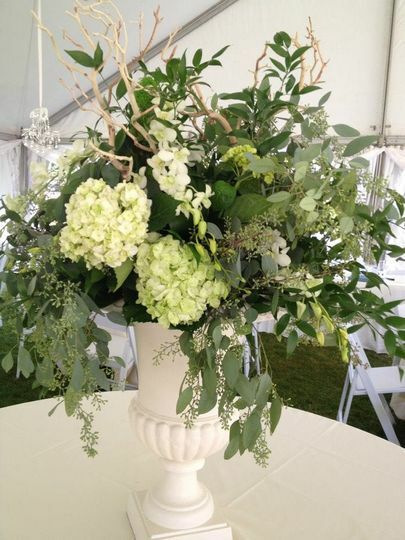 My flowers were dahlias, roses and hydrangeas with dusty miller. I had asked about garden roses because of their softer, more peony-like look, and was told they would cost more so Debbie would do what she could to "open up" the regular roses as best she could. 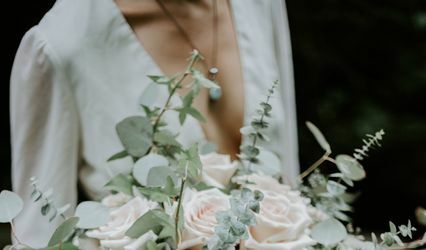 When my mom went to pick up the flowers, I believe that Debbie told her she went ahead and used the garden roses anyway because the others were not cooperating or something - needless to say my bouquets MADE my day when I finally saw them on our way to the ceremony - they were everything I imagined and more. 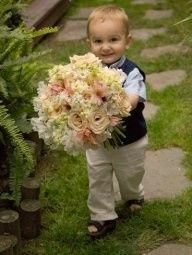 We only ordered a bridal bouquet, 4 bridesmaid nosegays, and petals for the flower girls. I was worried my small order would be off-putting.... nope, Debbie was perfectly accommodating to everything I needed (or didn't need). 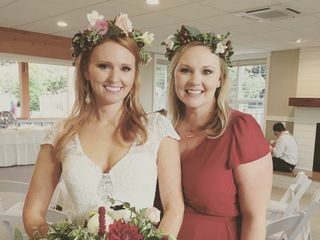 The flowers looked gorgeous in photos - brought everything together so perfectly! 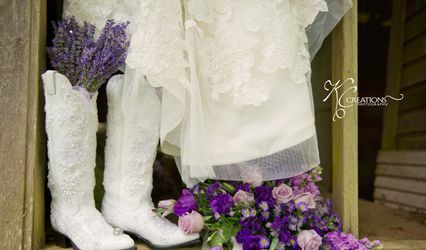 I think Debbie did a FABULOUS job in creating the flowers I wished for at my wedding!!! 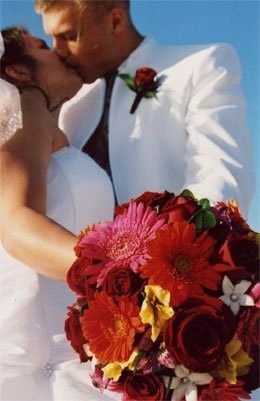 I only had to say "cascade" and she made a beautiful cascading bouquet for me to carry comfortably down the aisle. My flowers consisted of Orange Stargazing Tiger Lillies, Orange Alstromerias, White Freesia, Green Hypericum Berries, Bells of Ireland, and seagrass. I provided my own ribbon because I wanted everything to match, but she also provides ribbons upon request. 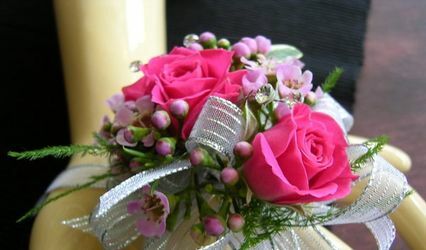 The corsages for the mothers and bridesmaids were beautiful as well as the boutinnierres for the men, fathers, and my son. I was also provided with a couple of boxes of Orange rose petals for the flower girls for very cheap, as most florists do like to give away rose petals, especially in a particular color, they usually give whatever is left over from their order, but Debbie personally ordered orange ones for my wedding. It was a dream come true when I saw my bouquet for the first time. It was exactly what I wished for and more!!! I had never been so pleased with any floral arrangement, and I am very picky when it comes to flowers. I told Debbie that I didn't want any roses or carnations or any such flower that looked like a rose or carnation, and she completely accomplished that goal with such ease. 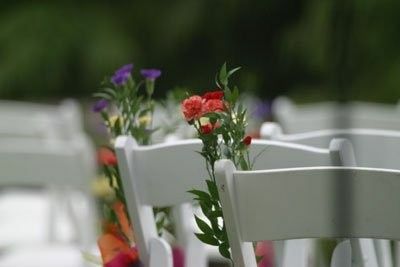 The cost of the flowers were very affordable, and I HIGHLY recommend her services. For future anniversaries, my husband and I are going to the coast to celebrate, and he already promised me a bouquet of the same flowers we used in our wedding each time. I'm looking forward to those celebrations!!! Thanks Basketcase!! !